Pearl Technology Holdings is an automotive technology incubator based in Dallas, Texas. The company has been constantly delivering groundbreaking technologies since 2014. They offer an all-in-one solution and stand alone product fit for every auto dealers’ need. 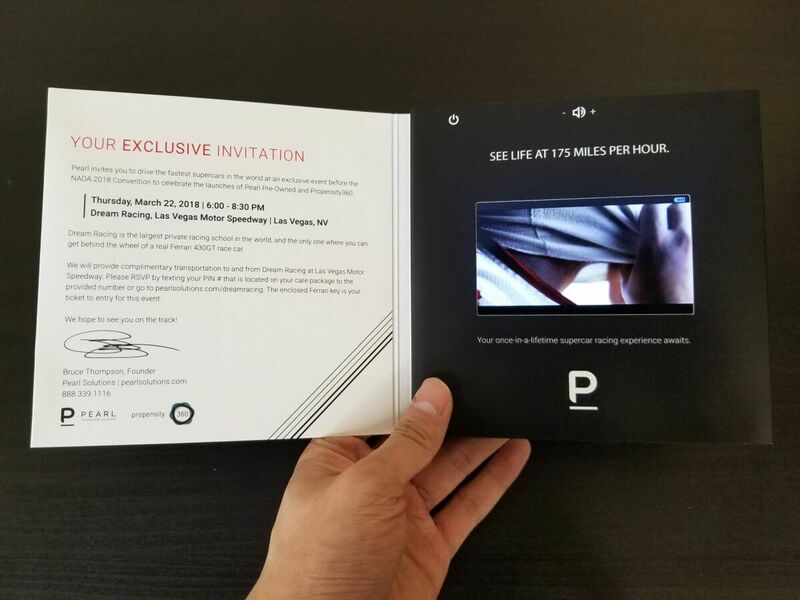 Pearl is using bigDAWGS’ Video Greeting Card as an exclusive launch party invitation to Pearl Pre-Owned and Propensity360. The event will take place at the largest private racing school in the world—Dream Racing, Las Vegas Motor Speedway. Visit pearlsolutions.com and request a live demo today!